The classic light-up LED felt wristband project is a great way for beginners to learn about switches. To turn it on, you connect the ends into a loop that closes the circuit. 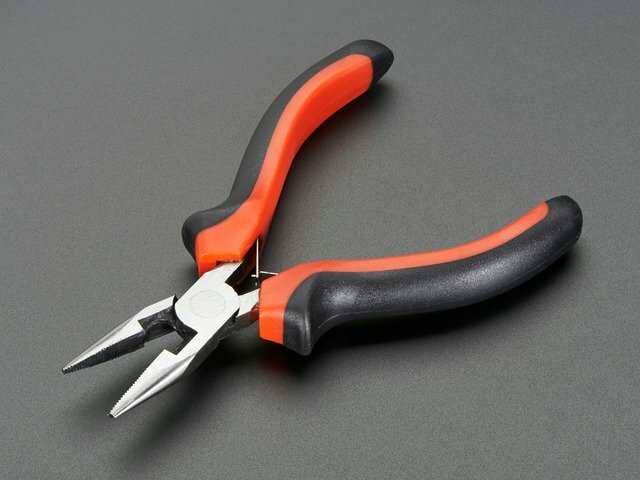 Traditionally, the fastener is a metal snap connected to the battery and LED with conductive thread. But learning to work with conductive thread can take time, even for those who already know how to sew. 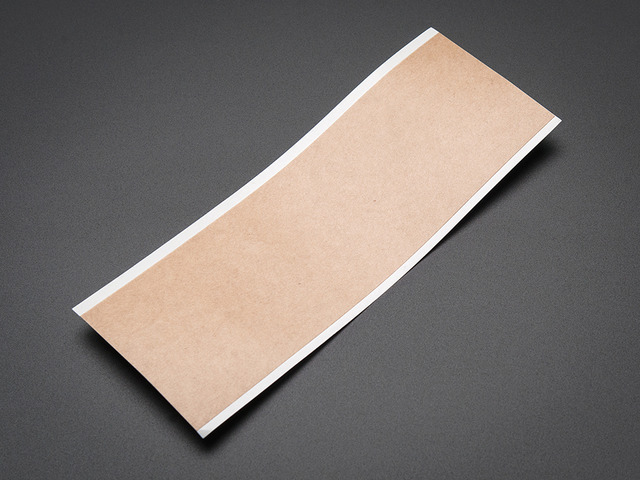 Peel-and-stick conductive fabric tape to the rescue! This no-sew version is quick and kid-friendly. It's also inexpensive enough to do with an entire class, because the battery holder is part of the fabric closure. If you want to use different color standard LEDs together, give them the "throwie" test first. 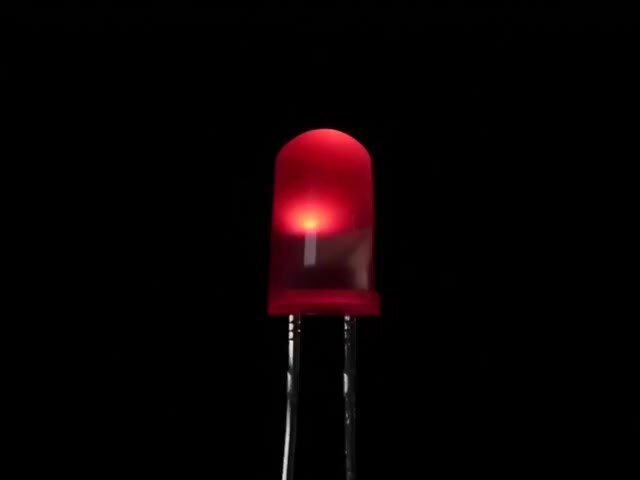 (A throwie is the simplest kind of LED circuit -- just a light and a battery.) Take the LEDs and slide them over the edge of the coin battery. Make sure the positive lead (usually the longer one) for each LED is on the positive side of the battery (marked with a "+"). If they all light up, you're good. In some color combinations, a few LEDs may look a bit dimmer, but still work. With other combinations, one or more LEDs may not work at all. For the example here, I used flashing LEDs for extra pizzazz. For each wristband, you'll need some conductive fabric tape, a 3-volt coin battery like the CR2032, and one or more LEDs (all of the same variety). I also recommend Z-axis conductive tape for holding the battery on when the wristband is open and for attaching Adafruit LED Sequins. This Conductive Nylon tape doesn't crack when bent or twisted, so you can make all sorts of odd shapes and paths without worrying about broken traces. It comes with conductive glue on the opposite side, so you can tape it directly to capacitive pads. It's low resistance, only a few ohms per foot -- not quite as conductive as copper tape, but you can definitely power small components with it. You can't solder it, but you can sew it! 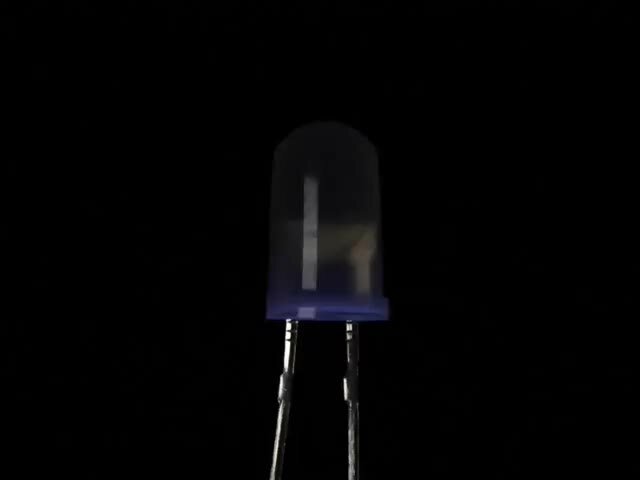 Inside these LEDs is a little chip programmed to cycle through every color at a fixed rate for a fun flashing effect. Same as above, but the colors change more slowly! Inside these LEDs is a little chip programmed to cycle through every color at a fixed rate for a fun flashing effect. 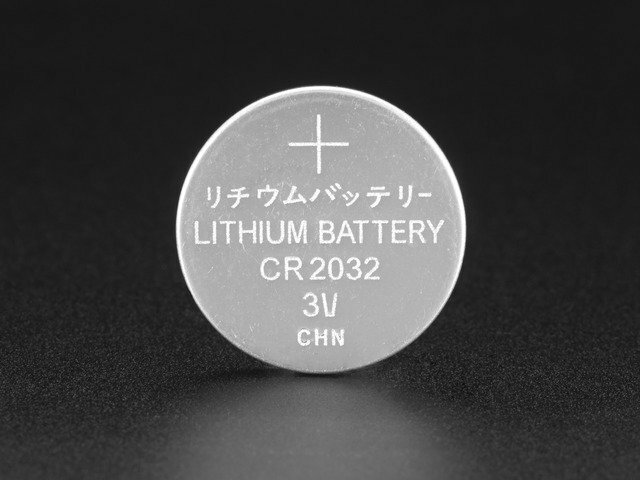 This non-rechargeable coin cell is CR2032 sized: 20mm diameter, 3.2mm thick. It has a nominal voltage output of 3V (although it starts a little high at 3.2V and slowly drifts down to 2.5V as it is used. The capacity is 220mAh assuming a draw of constant .2mA. Sew a little sparkle into your wearable project with an Adafruit LED Sequin. They only show a single color and they don't have digital control, but that makes them easier to use. You get one each of the following colors, matched with a resistor: warm white, ruby red, royal blue, emerald green, and rose pink. Circuit stickers are an imaginative and easy way to make fun electronics projects without coding, soldering, or experience. 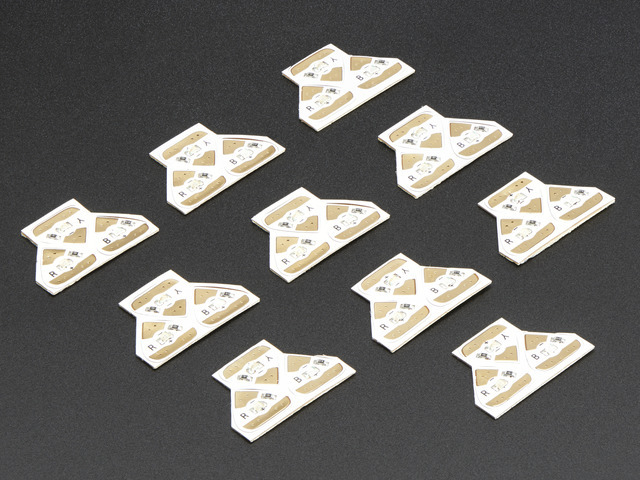 The stickers are super lightweight, thin, and flexible. They're perfect for educators, artists, and novices. 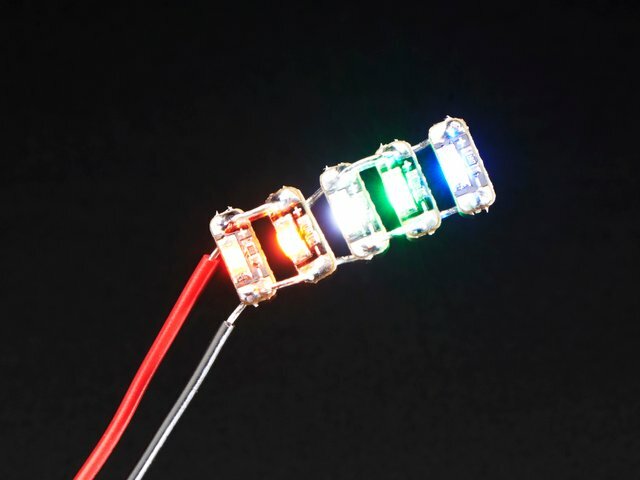 This pack contains 10 Red, 10 Yellow, and 10 Blue LED stickers. Z-axis tape by 3M can bond two conductive surfaces together and allow a small (under 100mA) current to flow through the tape. But here's the cool part: it's only conductive across the thickness of the tape itself, not along the length or width! 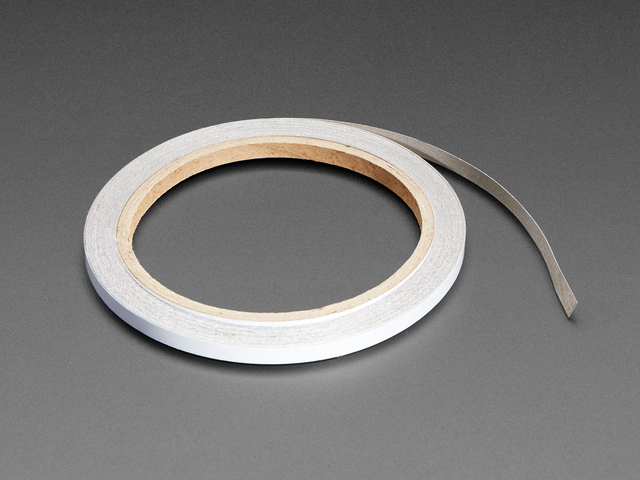 Each order comes with a strip of 2" x 6" tape, enough for several projects. Just cut out the size you need and save the rest. This guide was first published on Nov 13, 2018. It was last updated on Nov 13, 2018. This page (Overview) was last updated on Apr 20, 2019.